Why making mobile friendly website? More people are using mobile devices such as iPhone, iPod, Android , BlackBerry mobile phones to browse on internet more than PC. Which means it is very important to optimize website for a mobile device. WPtouch plugin is very simple plugin. It will support all mobile web browsing devices such as iPhone, iPod touch, Android mobile phones, BlackBerry OS6+ mobile devices and more! This plugin will change your mobile website preview entirely different. All need to do is just install WPtouch Plugin and activate it. You can customize view in mobile devices. Free plugin have limited customizing options but pro plugin has so much options. Free plugin have features to customize site title, change style and color, Google adsense, Stats & Custom Code like Google analytics, push notifications, Post Listings Display, Footer Text and much more. Login and account tab will be on top, users can easily access it. WPtouch will makes your website to load faster than regular theme, user friendly and stylish too. 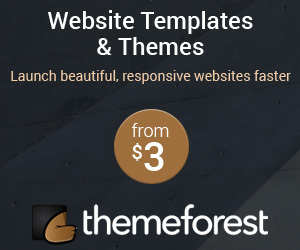 This plugin have also option to switch WPtouch theme from regular theme. You can display advertisements like Google adsense on this mobile friendly website. WPtouch Pro is also available with lots of features. Free plugin have limited customizing option but pro plugin has so much options. The WpTouch Pro Covers more languages – Spanish, German, French, Dutch, Norwegian, Portuguese, Italian, Chinese and Japanese. In advertising it has Admob Ads and Custom Ads more than Google adsense. WpTouch Pro Admin Features includes Drag and Drop Menu Setup, Copy Themes in the Admin, Custom Menus.Theme feature should include Create Site as a Web-Application, Advanced Styling/Branding, Multi-level Nav Menus, Threaded Comments, Inline Replies and more. So why are you waiting for, get started with WPtouch plugin and make your WordPress website / blog mobile friendly! Thanks for nice post! Some of your mobile site visitors may want the option of clicking through to your full site, whether to find a section not included in the mobile version or to see a larger product image. Include a link in the footer, where visitors expect to find it. nice post. it helps me a lot. Great post man. I’m going to download this plugin for my Blog because it seems that everyone has a smartphone nowadays. Thanks for insight.